We do the dirty work so you can relax knowing your chimney is 100% safe to use. Wisconsin chimneys see a lot of use during the winter. The long months of burning wood leaves a thick layer of soot and creosote in your chimney, substances which require annual removal to prevent any potential damage, build up, blockage or fire. The Milwaukee chimney cleaning experts at Wisconsin Chimney Technicians have over 30 years of experience with cleaning chimneys in a professional manner. We take pride in our three decade-long reputation for excellence. Schedule your Waukesha chimney sweeps today keep your home in top shape. Why do chimneys need to be cleaned? What’s in my chimney? Burning items like wood or coal can create byproducts like creosote or soot in your fireplace. Creosote condenses on the walls of your chimney when hot gasses meet the cooler surface of the flue. Frighteningly, this condensed material is highly flammable under the right conditions and can easily turn your chimney into a serious fire hazard. Self-cleaning chimney logs claim to remove this buildup, yet they leave most creosote behind. Protect your home from creosote buildup. 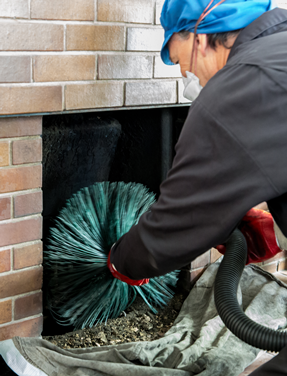 Chimney sweeping and maintenance from Wisconsin Chimney Technicians will clear your Waukesha chimney of all soot, creosote, and any flammable debris which has accumulated, such as animal nests or leaves. It's time to have your chimney cleaned. Wisconsin Chimney Technicians sweep chimneys all year long, though we recommend inspections and cleaning in fall and winter. This is when most Wisconsin homeowners begin to rely on their fireplaces for extra heat. You’ll want to know excess creosote and debris has been removed from the chimney before you start lighting fires. If you use your fireplace all winter, a spring cleaning is recommended as well. 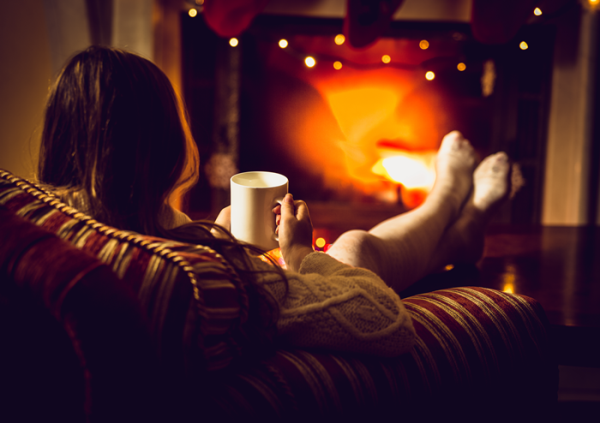 It's time you start enjoying your chimney! Wisconsin Chimney Technicians suggest our customers couple sweeping and cleaning services with our chimney inspection services to guarantee your chimney is safe, reliable, and ready to heat your home throughout the Wisconsin winter. For this reason, one of the absolute best times to have your chimney cleaned is actually in the summer, before you start regular burnings as the temperature drops in fall and winter. In 1993, Wisconsin Chimney Technicians started a special program to clean the 35 chimneys at the White House for free. Before long, chimney sweeps across the country were competing for the honor of serving this national landmark. We offer this same level of service to homeowners in southeast Wisconsin. 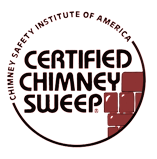 All our lead technicians are certified through the Chimney Safety Institute of America. 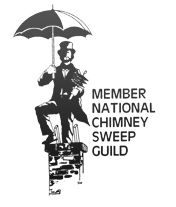 Our company is a member of many chimney sweep trade associations like the National Chimney Sweep Guild and Milwaukee’s branch of the National Association of Remodeling Industry (NARI). Many Wisconsin homeowners put off chimney sweeping because they believe it is too costly. Yet the cost of an annual chimney sweep is highly affordable. And the value of annual chimney sweeping is priceless: protecting your home from creosote buildup fires. Contact our chimney technicians to learn more about pricing for multiple chimneys at your home. Schedule a Chimney Sweep Today! Schedule your Milwaukee chimney sweep services online with our easy-to-use chimney service scheduling system or call our local chimney cleaning specialists at Wisconsin Chimney Technicians today. What are you waiting for? Call us right now at (262) 443-5933. Our expert Wisconsin chimney cleaning services are widely offered in Walworth, Kenosha, Ozaukee, Racine, Milwaukee, Washington, Jefferson, or Waukesha County. We look forward to servicing your home next! Contact our local Wisconsin chimney sweeps today to schedule your service.